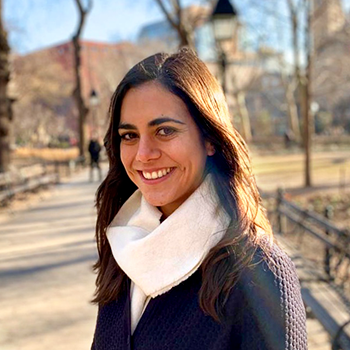 Adriana Garcia Nuñez is a research assistant for the Creando Comunidades de Indagación project, a collaboration between Project Zero and Innova Schools in Peru that explores ways to develop and support a culture of inquiry-based teaching and learning. Prior to her work at Project Zero, she lived in Peru and worked as the coordinator of the research area of the technical educational institute of Intercorp, the same corporation that developed the network of Innova Schools. She also worked in a market research organization where she designed and implemented diverse research studies and analyzed quantitative and qualitative data. For some of these studies she travelled to diverse regions of Peru and conducted interviews, focus groups and ethnographies in low income areas which provided insights to provide better opportunities for those populations. Adriana holds a B.A. in Clinical Psychology from PUCP and a Master in Human Development and Psychology from the Harvard Graduate School of Education.